In recent years, with the overturn of Ontario bee bans, urban bee hives have been popping up across the GTA. Urban beekeeping, also known as hobby beekeeping, is the practice of maintaining bee colonies in urban areas. These urban bee hives have been making appearances at colleges and universities around Ontario. Bee hives have popped up in the last year at Seneca, University of Toronto, Humber College and might even be making an appearance at Sheridan College in the future. The Sheridan SSU plan was to bring the urban bee hives this year, but due to timing, the plan fell through. But Ben LeBlanc, SSU vice-president at Hazel McCallion Campus, made the decision to bring urban hives to Sheridan, believing it would be a good addition to campus. Add this to the emergence of many new beekeeping clubs and programs and there’s a new kind of hands-on education for students and faculty. 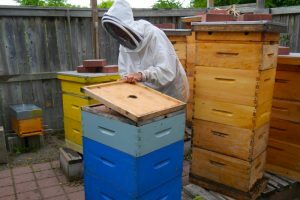 Fran Freeman, an urban beekeeper who maintains the hives at Humber College, also believes that urban beehives are a great addition to any college or university. “Having hives adds an educational component. People are often disconnected from the food they eat. At Humber the hives are placed outside of college cafeterias with large windows so people can watch the bees in their daily activities and watch us when we work the hives. 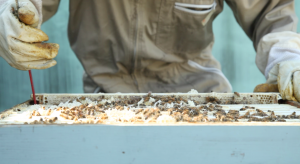 Their placement helps students and faculty make the connection between a healthy bee population, pollination and the food we eat,” Freeman said. But there may also be a downside associated with urban bee hives. 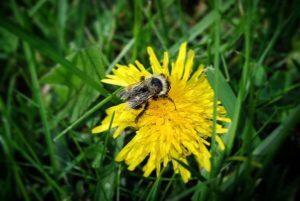 According to a research paper by Sheila Colla, an assistant professor of Environmental Studies at York University, people are putting too much focus on the honeybees. Honeybees, being the main inhabitants of urban beehives, may be the biggest drawback. “Although there are many knowledge gaps surrounding the impacts of disease transfer on wild populations, increasing the number of hives in cities or natural areas could lead to spread of diseases into surrounding areas and honeybees start to compete with wild bees for pollen and nectar,” the paper explains. Urban beehives are portrayed as “conservation initiatives aimed at saving bees, increasing wildflower pollination, and connecting people with nature.” But it is akin to saying that to save the caribou, you must bring in an excess of cows. Kathleen Law, outreach manager of Pollinator Partnership, and her assistant Anthony Colangelo, believe urban beehives are definitely not the first step to saving the bees. “I think the most important thing is planting gardens as opposed to adding more bees. So, the big problem right now is that we’re taking away a lot of resources for bees and they need more foliage for nutrients, and by adding more bees into the picture, especially honey bees which are not native to Canada, it’s not necessarily helping the problem that’s out there right now.” Colangelo said. Bee hives, while a helpful educational tool, may not be the best thing for native Canadian species. Honeybees are competing with native species for food and land, and although honeybees can pollinate, their bodies aren’t suited to the kind of pollination native produce and flowers need to reproduce. Solitary bees don’t go far to pollinate, but honeybees can travel up to 5 kilometres, essentially stealing the nectar from right under native bees’ antennae, and halting the plants reproduction in its tracks. Law is all for the idea of urban beehives, but cautions people on their expansion. 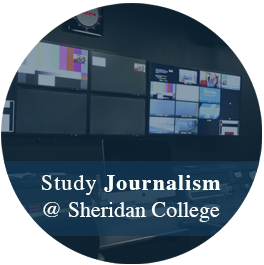 Taylor Logan lives in Burlington, Ontario and is a second year Journalism student at Sheridan College. She is an environmental queen and is about all things conservation. One day she hopes to work for CBC in the science and tech unit.